College and university in-plants tend to be more progressive than other sectors of the in-plant community and willing to try new things. Our latest research bears this out in a number of areas. 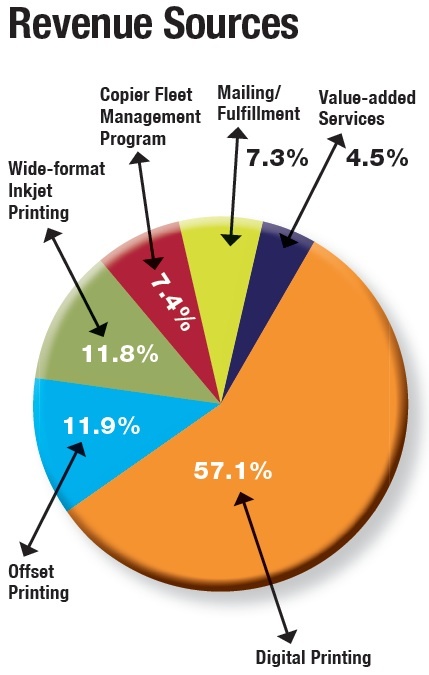 Higher-ed in-plants have adopted services like wide-format printing, variable data printing, online ordering and copier program management at a significantly higher rate than the in-plant industry as a whole. Also, more of them insource from customers outside their institutions, more of them charge back for printing and more are self-supported versus funded. Our survey received 109 responses from in-plants ranging in size from 1.5 employees to 90. The average number of employees was 13.8 and the median figure was seven. This online reports includes a full page of additional data that we were unable to fit in the printed edition. To view this special report free of charge, we ask only that you fill out a very short registration form to help our research efforts. This data is helping us better serve the market with relevant content. Once you register, you will not be asked for this information next time we publish a special report as long as you use the same browser.